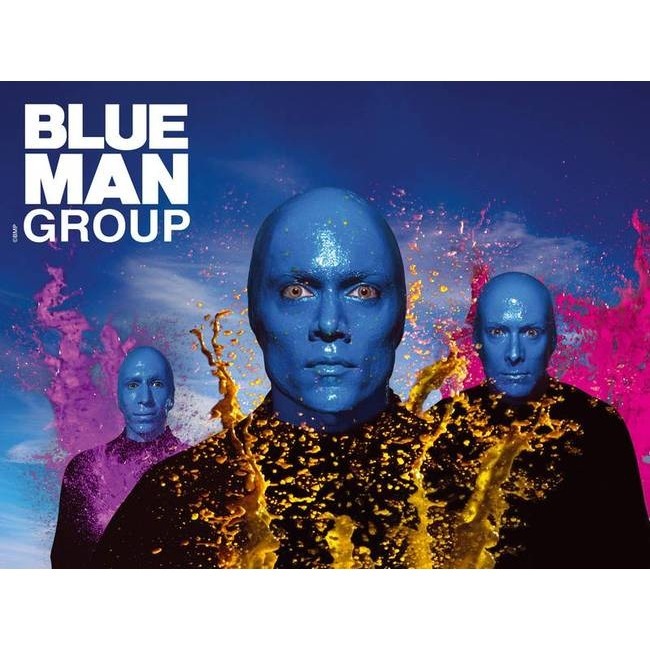 Blue Man Group is an organization founded by Chris Wink, Matt Goldman and Phil Stanton. The organization produces theatrical shows and concerts featuring experimental music, comedy and multimedia; recorded music and scores for film and television; television appearances for shows such as The Tonight Show, Las Vegas, Scrubs, FETCH! with Ruff Ruffman, and Arrested Development; and Shake It Up on Disney Channel. Lastly, a children's museum exhibit ("Making Waves"). All of the organization's performances star a single trio of humanoid characters called Blue Men, played by actor-musicians who all wear bald caps and uniform blue makeup. They recorded a track with the Dutch DJ and producer Tiësto for the album Elements of Life. We saw this performance. We loved it. It's not what we expected. They are very creative.